The state of social and environmental impact measurement and reporting. Frameworks, methodologies and tools for impact measurement. The business response to impact measurement & key conclusions. Once we have published all three parts of the blog, a whitepaper with the full report will be available to download through the Greenstone blog. If you are not already subscribed, please click here and fill in the short form. Businesses are increasingly being scrutinised on how they contribute to global issues such as economic inequality, limited natural resources, pressures of climate change and environmental conservation. Since the introduction of the Sustainable Development Goals (SDGs), more leaders have recognised the importance of managing their social and environmental risks and opportunities. For many stakeholders it is no longer deemed sufficient for businesses to measure and report their social and environmental performance without giving their figures further context in terms of their impacts. Businesses are increasingly being held to account for their social and environmental externalities and called upon to recognise long-term, sustainable value creation for all stakeholders. While some of the positive impacts of business activities are evident, it is not as clear when it comes to negative social and environmental effects of businesses’ actions, programs and investments. Currently, both internal and external stakeholders of businesses are seeking for more sophisticated information that allows them to measure and value the socio-economic and environmental effects of activities on the well-being of societies and the environment they interact with. Despite being a voluntary initiative, the interest around impact measurement, valuation and reporting is increasing across different organisations and industries. Organisations are keen to explore and implement new types of disclosures as it enables decision makers to improve their sustainability strategies and shift social and environmental change towards a positive direction. Substantial work has been conducted by OECD, World Economic Forum, WBCSD, Social Value International and many others to increase awareness about current social and environmental externalities. However, with so many frameworks, methods and tools available in the related field, many practitioners find it hard to know where to start, what methods to use and which metrics to measure. Within the last decade, the number of frameworks, methods and tools for impact measurement has increased as a response to growing demands from businesses for new ways of strategic thinking and sustainability reporting. They have been designed to measure impacts for programs, activities and investments with different objectives as well as geographical, organisational and temporal boundaries. The Natural Capital Protocol Toolkit alone contains information on 59 different frameworks, guidelines, methods and online tools developed for natural capital measurement and valuation. Well-recognised international organisations and consultancy firms such as PwC, Deloitte, EY and Accenture have also developed their own frameworks and guidelines on how to approach social and environmental impact measurement. 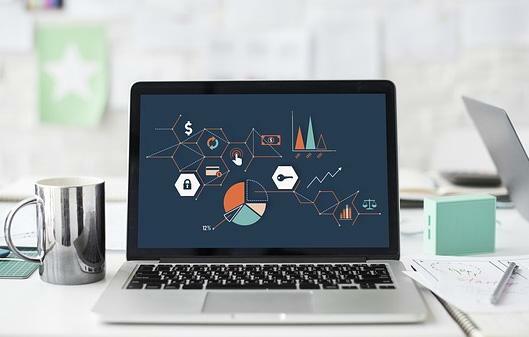 Evidently, every framework or tool comes with its advantages and disadvantages associated with data collection, methodology complexity and human and financial capital requirements. While many active players in the field acknowledge the challenges and uncertainties related to impact measurement and reporting, it is not as evident for organisations that are in the beginning of their 'impact' journey. With any emerging practice comes new terminology and definitions. Unsurprisingly, there are areas of definitional confusion among different stakeholders. Hence, as part of this research, Greenstone has sought to provide clarifications and definitions for common terminology that are currently in use in the impact sector. By conducting both quantitative and qualitative research, Greenstone established that different organisations take differing approaches to defining their social and environmental impacts. For instance, it was noticed that some organisations describe their carbon or any other ecological footprint as their ‘environmental impact’. It is unarguable that management of environmental performance is a core component of sustainable business strategies. However, traditional measurement tools such as carbon footprinting tend to focus on the measurement of inputs, activities and outputs; they do not account for the benefits and costs that businesses bring to society and the environment. 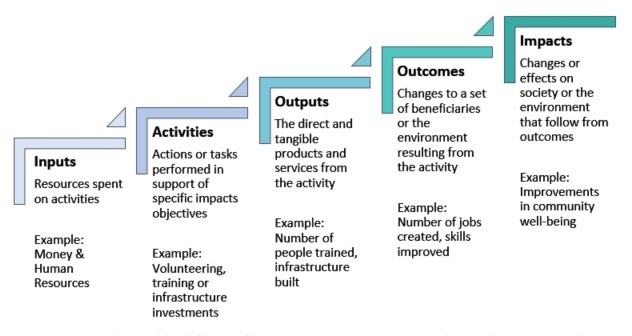 Understanding the differences and relationships between outputs, outcomes and impacts of activities is critical for businesses as it provides a foundation for rigorous implementation of impact measurement and valuation. An example of the Impact pathway could be for a charity project involved in educating youth from deprived areas in solar energy installations. The Inputs would be the financial donations, materials and the time spent by the charity to coordinate the Activities, which would be training courses for the youths. These would lead to the Outputs – the number of youths trained in solar installations. The Outcomes would be the improvement in the skills for those youths and an increased awareness of renewable energy, which in turn lead to the Impacts of lower unemployment, more clean energy adoption and improvements to the wider community. In part 2 of this blog, we will introduce the frameworks, methods and tools available for impact measurement.